Sorry for the near total absence of actual drawings lately but the combination of ACNL, work and uncommonly hot weather was something of a killer combination. 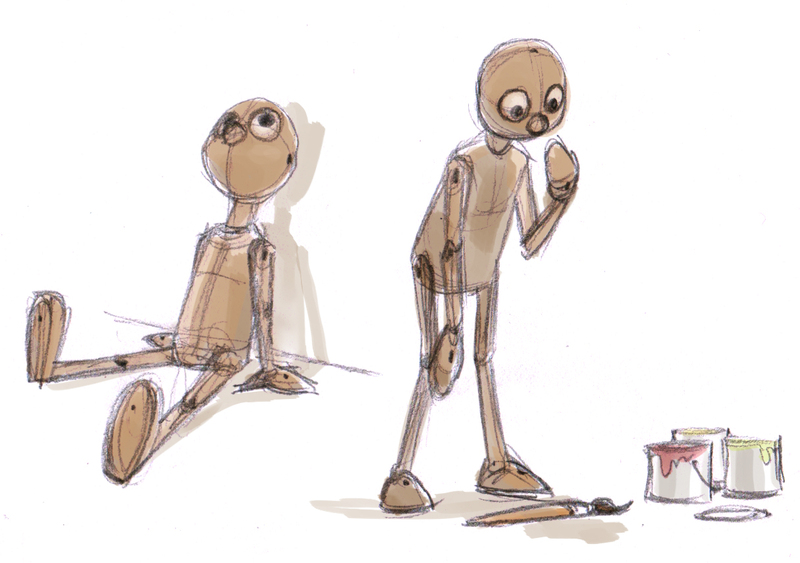 Aaaaanyway, I’ve been considering doing a short story book for a long time now (I never know if I hate the term children’s book or just the inverted commas that inevitably go with it) and there’s this one idea about a puppet that was never finished that has kept coming back up in my mind. So yes, there, maybe this will become a thing some day.